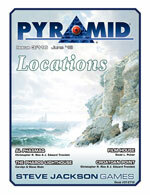 Many issues of Pyramid were devoted to a theme that tied in, roughly, to "times of yore." (In GURPS terms, this is anything from TL0 to TL4 – from the dawn of time through 1700 or so.) Since fantasy gaming is so popular, most of these issues also contain magical or fantasy-related ideas. Topics include historical exploration, magic on the battlefield, and tools for clerics. Treasures await on this last Pyramid expedition. 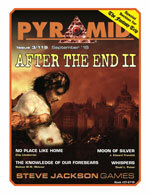 For 25 years, Pyramid magazine has delivered gaming goodness, but all good things must come to an end. 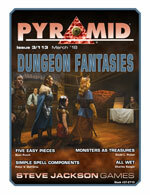 This final issue of Pyramid, the PDF magazine for roleplayers, is a miscellany of marvels for myriad campaigns. Unleash mad science as a form of magic with Phil Masters. Become a master of animals or a natural leader in GURPS Dungeon Fantasy. Visit tense worlds, one a dangerous alien planet and another an alternate Earth. 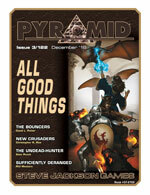 The Pyramid adventure may be ending, but this issue is full of all good things! Push beyond the limits of your imagination. 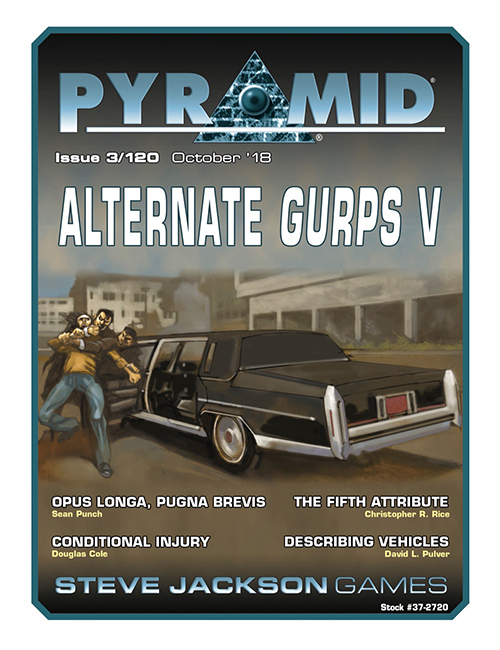 GURPS is a system that's perfect for those who like to tweak and build. 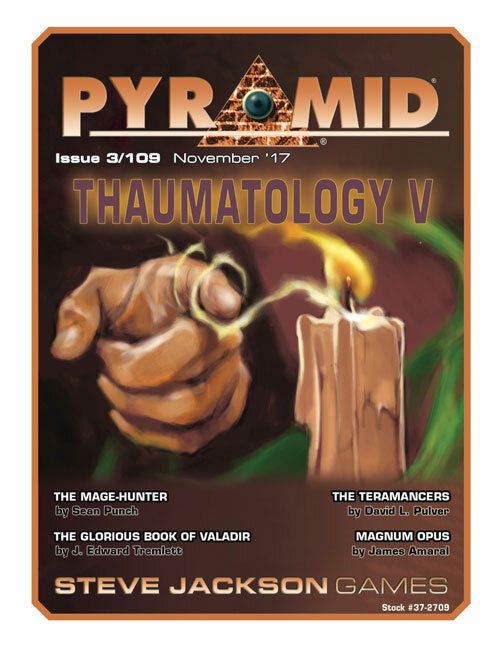 This month's Pyramid, the PDF magazine for roleplayers, is devoted to new rules and alternate systems to really shake up your games. Keep the thrills flowing between combat and exciting non-lethal endeavors, with new rules from GURPS Action mastermind Sean Punch. 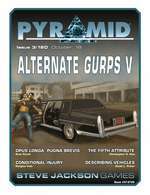 Create GURPS vehicles stats based on real-world info, thanks to GURPS Spaceships author David L. Pulver. Unleash your inner power with a whole new magical attribute. This issue is a canny collection of the unexpected! It's never been a better time for crypt-crawling fantasy exploits! 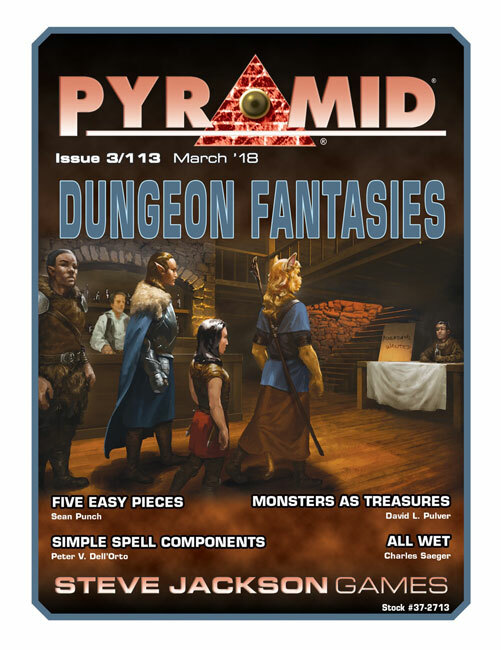 With this month's Pyramid, the PDF magazine for roleplayers, you'll get new tools and toys for two systems that deliver the goods to dungeon delvers! Unleash the power of your buckler by becoming a shield-bearer in the Dungeon Fantasy Roleplaying Game. Explore an abandoned mine using either The Fantasy Trip or Dungeon Fantasy. With the roll of some dice, create random encounters for Dungeon Fantasy . . . or turn them into inspiration for The Fantasy Trip. 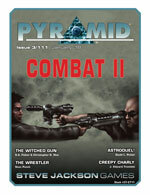 With this month's Pyramid, you'll get the newest in old-school gaming! With the GURPS Hot Spots series, gamers have traveled the globe across the eras. 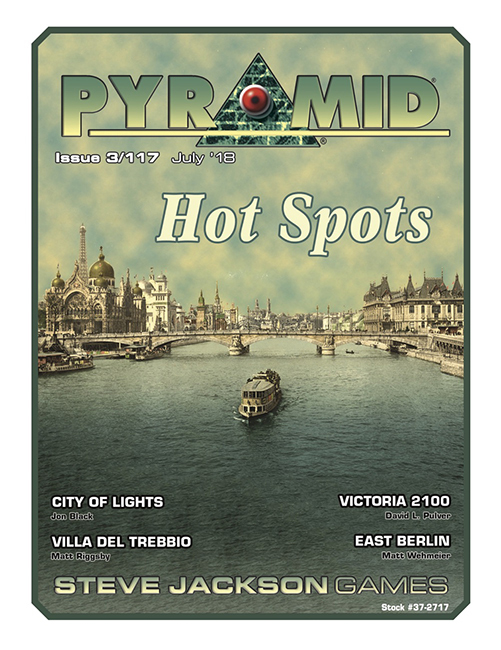 Now the spirit of Hot Spots infuses this month's Pyramid, the PDF magazine for roleplayers. Discover Paris at the turn of the 20th century to dabble in art, crime, or resistance. Visit Victoria in the world of Transhuman Space. Relax at a Renaissance noble's villa with your guide Matt Riggsby, author of GURPS Hot Spots: Renaissance Venice. 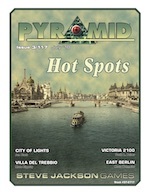 This issue of Pyramid is your passport to adventure; go make history! Adventure isn't just what you do; it's where you go. An interesting place to visit makes any campaign come alive. 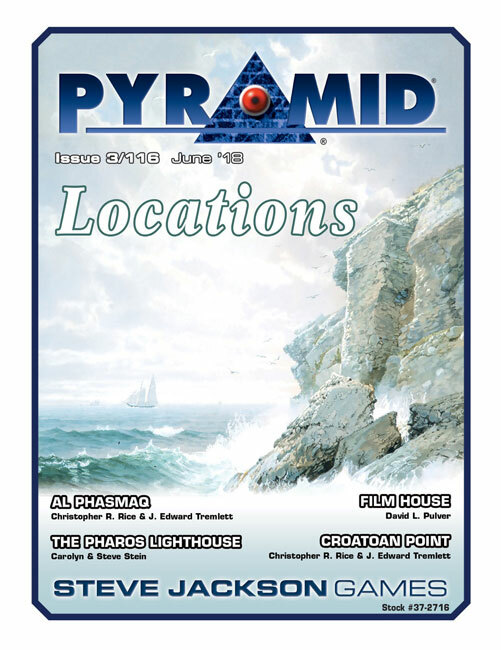 In this month's Pyramid, the PDF magazine for roleplayers, we draw inspiration from the GURPS Locations series with ready-to-use locales perfect for myriad campaigns. Visit a seaside City of Ships with a hidden evil waiting to strike. Uncover the haunting secrets of a film school in a mansion that was built in the 1920s. Stop for supplies and a drink at a space station with secret factions and short fuses. Your itinerary is ready for interesting environs across time and space! The mind is the key to magic . . . and vice versa. The power of misdirection begins in the mind. 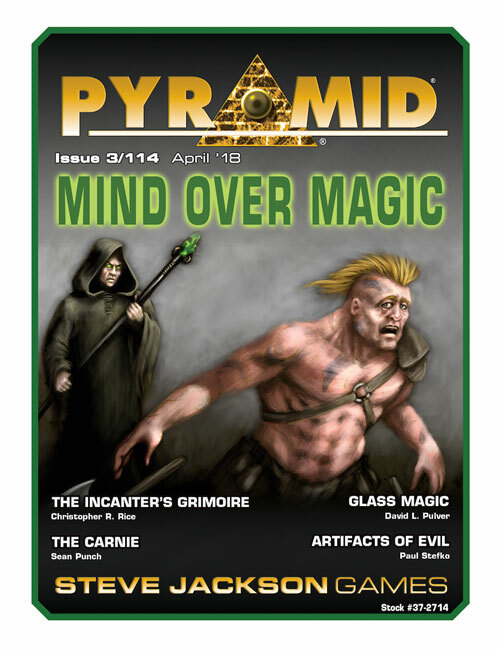 This month's issue of Pyramid, the PDF magazine for roleplayers, looks at the strangeness of shadows, the intrigues of imagination, and the melding of magic and mental matters. Unleash new spells based on glass and names. Stop the machinations of artifacts of evil, or do more of the impossible in dungeons. With this issue, the limits of your imagination are where the magic happens! Traps, terrors, and treasures are waiting for heroes. Tombs teem with trouble and tricks, but terrific trinkets await the intrepid! 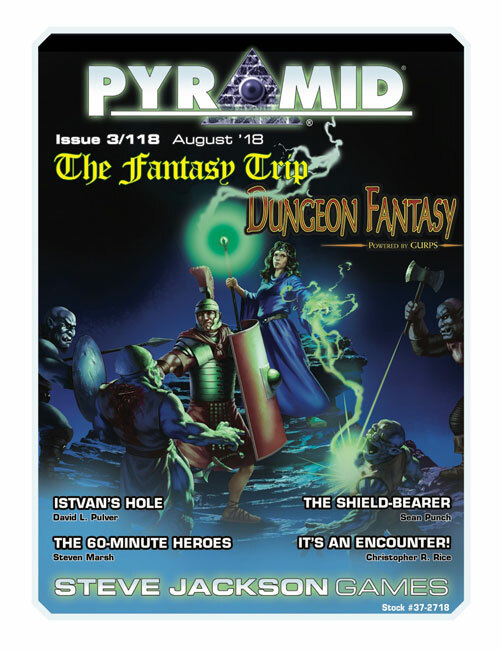 This issue of Pyramid, the PDF magazine for roleplayers, gives gaming goodness for both the Dungeon Fantasy Roleplaying Game and the GURPS Dungeon Fantasy line. Make heroes in new ways courtesy of Dungeon Fantasy architect Sean Punch. Face monsters that are treasures themselves, and discover the genesis of Dungeon Fantasy Traps. With this issue, there are dozens of ways to die . . . but it's all worth it! Are you looking for a fight? 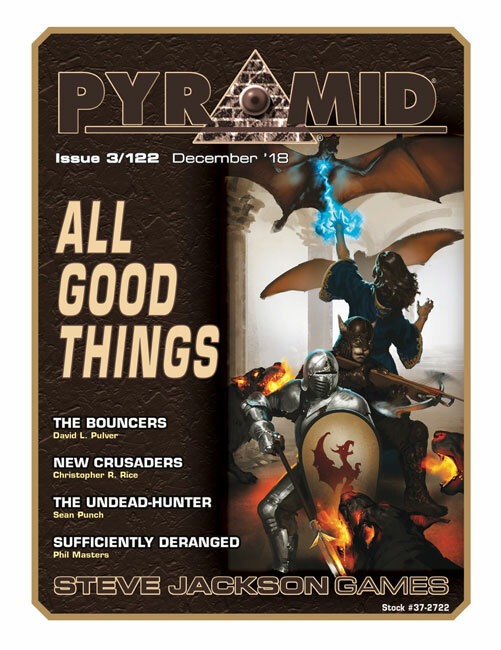 When it comes to combat, the right tool, trick, trapping, or teammate can make all the difference, as shown in this installment of Pyramid, the PDF magazine for roleplayers. Unleash the mythic power of firearms with Christopher R. Rice and S.A. Fisher. Go hand to hand against monsters in the Dungeon Fantasy Roleplaying Game by becoming a wrestler, or find your fortune in a dogfight-heavy GURPS Spaceships setting. With this issue, you'll find your fight! Books and brews and alternate views! 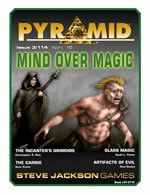 The world of magic just got bigger with this issue of Pyramid, the PDF magazine for roleplayers. Unleash new alchemical wisdom that challenges adventurers to think on their feet to do the impossible. Lash out against arcane enemies with the mage-hunter for the Dungeon Fantasy Roleplaying Game. With this issue, imagine the unimaginable like never before! What kind of articles were in historical/fantasy issues of Pyramid? Try these sample articles and see! 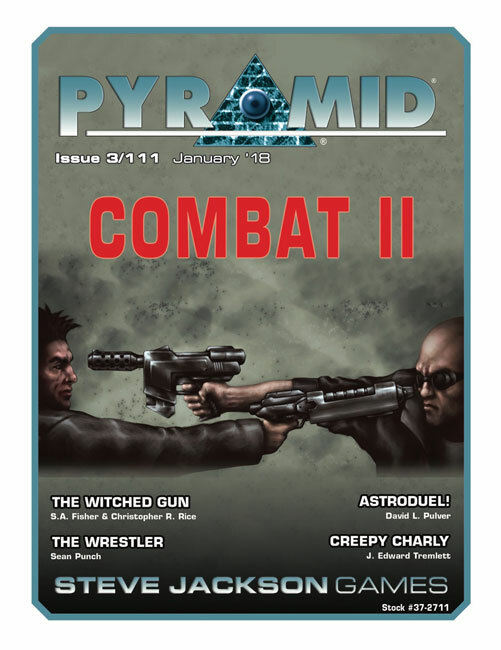 "On de Medici's Secret Service" from Pyramid #3/10: Crime and Grime, written by the author of GURPS Hot Spots: Renaissance Florence, Matt Riggsby. 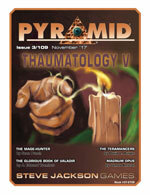 "The Book of Null" from Pyramid #3/13: Thaumatology. 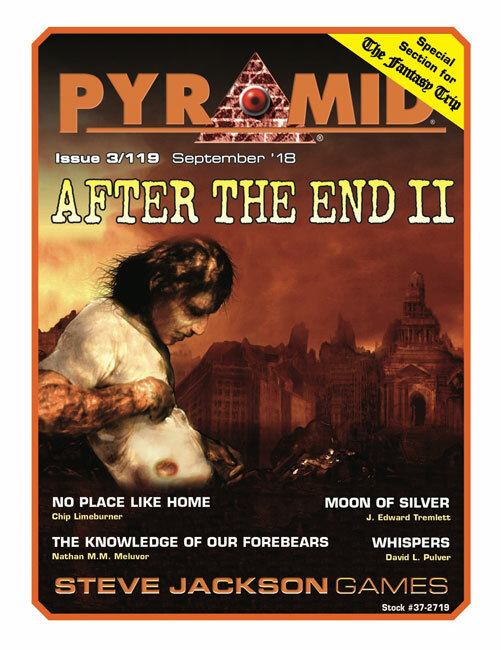 You can also check out the introduction, table of contents, and sample pages for any issue of Pyramid, available via Warehouse 23!